Earlier this year I threw up for about 4 hours after leaving Nobu Toyko. This time last year I found myself throwing up into Thomas Keller's herb garden outside The French Laundry. On my 30th birthday a few years back I was so sick after a meal at Gordon Ramsey in Claridges that ended up being taken to casualty. Several years before that, Nobu London was the start of a rather prodigious all night vomiting session. 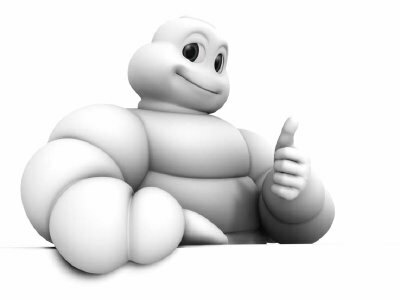 I'm allergic to Michelin stars in would appear. The more an establishment has, the more likely I am going to end up throwing up a couple of hundreds quid worth of haute cuisine. L'Atlier de Joel Rubuchon didn't illicit a response, more for the fact you get so little food when you eat there, any allergic reaction is bound to be small. I figure there's three possible causes to this Anaphalasis Michelinus. One, that despite my dire prognostications to the wait staff about what will happen if I so much as sniff a crustacean, the chefs are out to test if my allergy is real and load me up with as much secretly deposited crab meat as they can. After that Jeffery Stiengarten piece about food allergies everyone looks at me like I'm just a big girl and what harm could a prawn possibly do? Well, vomiting blood is what harm a prawn can do. To be honest, this all seems very unlikely, fine restaurants are probably not in the habit of trying to kill patrons (I've been to a few not so fine restaurants where this is more than likely the case), so I figure I should move on to my next theory. The next possible cause is that my wife is trying to kill me. She's the only common denominator in all these dining experiences and I suppose I have to entertain the notion that she takes these opportunities to try and off me. At various times, I would say this is the most likely explanation, though I'm sure she's imaginative enough to come up with something a little more interesting if she where aiming to shove me off this mortal coil. No, at the end of the day, I have to say that she'd probably come up with a far tidier and economical way of wacking me that watching me eat foie gras. That, you see, probably hits the nail on the head. I think it's over excitement. I end up eating too much, too quickly and my body just decides that 12 courses is too much and goes into purge mode. Don't worry your not the only one who is often spectacularly ill after some restaurant meals. Sometimes I think my body would just prefer fish & chips from the local chippy! It sounds like you'd make a wonderful couple with my wife for whom 3 stars and Foie Gras are a powerful emetic.